There’s a growing number of design blogs scattered around the web, each focusing on various aspects of design, such as web design, graphic design, web development, and even UX design. This collection of 30 web design blogs all have a primary focus on web design and web development, and each one consistently pumps out great content, whether it’s in the form of inspiration, discussion, theory or tutorials. If you’re looking for some scrumptious goodies to feed your creative inner geek, look no further than this feast! WPKube is a blog that focuses on WordPress and all the things to do with it. You can find on it a wide range of articles such as How to Install WordPress (a very comprehensive guide for beginners) as well as much more advanced WordPress tutorials. UX Booth is a popular blog focusing on user experience, usability, and interaction design. The UX Booth is a publication by and for the user experience community. and was founded by Andrew Maier, Matthew Kammerer and David Leggett. Web Design Ledger is the online publication of Henry Jones and is home to a whole range of web design content from various authors. It features content to make you a better web designer. On this website, you’ll find a large range of web design articles such as 20 Free Chalkboard Fonts. The U Creative is an initiative by NTUC to create an online community for all creative professionals in Singapore. Six Revisions is a veteran design blog managed by Jacob Gube. Along with a large collection of authors, Jacob posts various inspirational design topics, as well as plenty of design tutorials. Since it exploded onto the scene in 2008, Web Designer Depot has continued to grow into a monster of a blog, with frequent design posts being published from various authors. Web Designer Wall is a wall of design ideas, trends, and tutorials created by talented designer Nick La. Topics include a range of trend roundups, WordPress tutorials and handy tips and tricks. On Designrfix you’ll find a large range of tutorials, not only for your next web project but for anything related to design. It offers daily inspiration and useful online resources for Web Design and Graphic Design. Tutsplus is the web development and design branch of a popular network and is home to some detailed and technical tutorials for both front and back-end developers. Tympanus can come in really handy if you’re looking for some inspiration of trying to improve your project. Codrops is a web design and development blog that publishes articles and tutorials about the latest web trends. Are you looking for advice on user experience design? Boagworld is a design blog and podcast hosted by Paul Boag, a popular figure in the web design industry. Usability Post provides tips and insights into good design practices, founded by Dmitry Fadeyev it documents useful tips on how to design with usability in mind. Marco Kuiper is the guy behind Marcofolio, a blog passionately covering web design inspiration, tutorials, and tips. CSS-Tricks is the home of Chris Coyier and is a treasure chest of CSS related tips, tricks, and tutorials. Don’t forget to check out the awesome screencast tutorial series. This website is a web design and development blog by Tom Kenny that hosts a range of inspirational posts, tutorials, and general design topics. Woork Up was founded by Antonio Lupetti and is home to a large collection of useful CSS, jQuery, WordPress and Design content. Smashing Magazine is a monster design blog covering all kinds of design related content. Web Design posts, in particular, are often packed full of tips, theory and inspiration. Steven Snell’s Vandely Design Blog is home to extensive trend roundups and design theme specific roundups, making it a great place to check out the latest movements in website design. As well as presenting CSS related content from Alen Grakalic, CSS Globe also hosts a popular Community News showcase that contains stacks of excellent design links. Cats Who Code is a blog dedicated to web development, with a mix of tips for various programming languages. Founded and maintained by Jean-Baptiste Jung. Since its migration online in 1998 A List Apart still keeps the web industry moving forward with plenty of in-depth articles on the design, development, and meaning of web content. The Speckyboy design magazine by Paul Andrew is constantly updated with design trend roundups showcasing various design styles and themes. It is an online magazine for designers with its focus on sharing helpful resources. Jon Phillips’ Spyre Studios blog is home to plenty of design inspiration, tutorials and articles covering the web design subject and the greater world of design. 1stwebdesigner is a design blog dedicated to bloggers, freelancers, web developers and designers which a mix of articles covering various design related topics. Sitepoint is yet another good example of a web design blog with consistent content which can save you a lot of trouble in your next project. With categories covering Icons, Showcases, WordPress, CSS and Tutorial, instantShift is a popular destination for web related content. Freelance Designer Lee Munroe runs a popular web design blog based on his personal findings and includes interesting conference summaries, trend showcases and WordPress topics. Pro Blog Design is a consistent source of web design posts, with topics covering coding, WordPress, resource roundups and tips & techniques. Design Shack showcases inspiring web design, resources and tutorials by David Appleyard and Josh Johnson as both a design gallery and blog. Let’s not forget good old Line25! 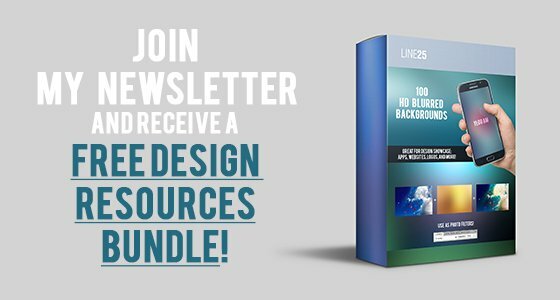 Line25 hosts a range of web related tutorials, articles and articles for every designer. Are online quizzes a part of your content marketing strategy? It’s really great lists and helpful to web designer and developers. These lists are great helpful to them..
Great and a very informative blog for me. The 30 important blogs of designs are really very nice. Thanks a lot for sharing. it&apos;s very kind of you for making such a long list. to be honest, every blog recommended by you is of great value. I am a Chinese student, a poor English major, but I&apos;m quite interested in web development techniques. Thank you again for providing so many valuable resources. super list. thanks for sharing. Great list. I check out Pro Blog Design now and then. Line25 is my personal favourite. Great web designs. I like how many of them utilize a number of colors and designs, while still maintaining a quasi-minimalist approach. This is really Good information know. I am definitely bookmarking this page. Some new ones here for me! I am so loving 24 ways and Soh Tanaka’s blog :) Thanks Chris! Hey, what about our blog? Besides that, what a frigging excellent list. Congratulations! Great list Chris! I check a few of these, but wasn’t aware of all of them. Thanks again! Line 25 en 24 ways are great! Thanks again for a beautiful list! Great list of websites. My favourite has to be Think Vitamin. It provides easily digestible information with some very knowledgeable viewpoints. Seriously there is so many great things to read through here, I have to eventually tell myself less talk and more action. Thanks for including Vandelay Design. This is a really great collection. Not the same old pages everyone else posts about. Great list, I found a couple of them that I didn’t know exist. Thanks for putting this together. Great list,I think in the 2010 I can study more html5 and css 3 form them. I can’t believe Perishable Press didn’t make the list – always superb content there. Thanks for sharing the information, in addition to our reference for design and content inspiration. Thanks! i knew at least 8 of them i’ll check on the others :) what about you guys, how many blogs did you know before this post? 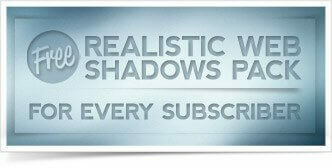 Agree, its a great list of top blogs making quality content. i knew most of these blogs, but now i have some new blogs to add to my rss reader. Chris – you just listed down my “favorites” RSS feed! Great minds think alike? In any event, thanks for including Six Revisions on the list (and at the #3 spot, woot!). If I were to add to this, I’d add Soh Tanaka’s blog – he constantly produces unique tutorials on jQuery that web designers can easily follow along with. Wow thanks for this collection! I haven’t subscribed to a lot of these so I’ll have to add them to my RSS feed reader. I Hope to be on this list very soon. Have always used all of these maybe apart from Pro Blog Design. Must admit I do not like 1stwebdesigners logo that much at the moment. Great list. I check most of those, but there are a few I forget to check regularly. Great feature! Some of these are favs and others I obviously need to become better acquainted with. Thanks! Thanks for the list. I was aware of 6 of the listed sites. The remaining ones go on my feedly right away. Great list of webdesign blogs.. I learned a lot from above listed blogs.. Thanks for this great list and for including WDD. Thanks for sharing these & Great Job on Line25. I have to visit daily: Smashingmag (like 4 times a day), WDL, WDD, Vandelaydesign/blog, Noupe and have started coming across 24ways and 1st webdeisgner recently. Another great site that I visit daily and did not see on the list is http://www.tripwiremagazine.com. Keep up the great work! Like designinformer said i visite almost of them as well :D Nice list!! These are great, but my productivity will probably suffer!! Thanks!! Most of these are already on my RSS reader, always excited to see new content from them. A few of these I need to add. Thanks alot for this list, I’ve been trying to get myself into the habit of using RSS readers to ‘digest’ blogs lately, instead of spending2-3 hours browsing sites. Great List! Nice to see I follow the right ones. I din’t now 2-3 anyhow. Awesome list, these truly are some of the better blogs out there, I’m surprised you didn’t plug your other blog. Great list of blogs here Chris. I visit most of these sites daily. Amazing list here, I’ve seen most of them, but some of them are still missing from my RSS list. Great to see so many blogs produce high quality content. Thanks a LOT for including Marcofolio here Chris – really appreciate it. I have 2 great upcoming articles lined up this week – stay tuned ;) . Excellent breakdown Chris. I’m running through a design process for our website, and sometimes you just need to walk through a list of cool sites to get some inspiration. When they write well it’s an added bonus. From your list, I find 24 Ways is really clever and always enjoyable. Also really enjoyed your last post on usability crimes.